Prisha Gustina received her Master of Music Education degree in 2002 from Silver Lake College, Manitowoc, WI. From the University of WI-LaCrosse, she received a Bachelor of Science Extended Vocal Music degree in the field of Education. She is currently, and has been for ten years, at Concordia University in the Beloit Campus teaching music appreciation. Prisha’s past includes teaching children K-12 music for over 30 years. 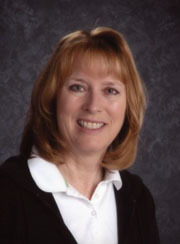 She recently retired from the School District of Beloit with 24 years of service in the WI public school system. Prisha is Kodaly certified and has had many years of Suzuki piano training. She has presented sessions at the following conferences, workshops, and universities: ISME Beijing, China, MKMEA Milwaukee, WI, MKMEA Wichita, KS, CAKE Chicago, IL, School Dist 162 Matteson, IL, University of WI-Oshkosh, and University of WI-Whitewater. Prisha has been on the AWAKE board (affiliate of OAKE) since 2009 and currently serves as AWAKE Board President. During her years working with children in the public schools, she recognized the need to improve music education practices to help children achieve higher-level music literacy skills and musicianship. Her passion to reach out and make a difference led her to develop the Steps to Music Literacy.